CarGurus has 77,878 nationwide Accord listings starting at $1,121. Great value, fuel economy, finish, and a sterling record for reliability all stand to keep the Accord near the head of the pack for a while longer. A suspension that’s good at nothing, engines that fail to meet competitor’s offerings, and some non-intuitive cabin decisions leave us wondering what Honda is thinking at times. Sure, the engine isn’t a pillar of performance, and yes, the suspension leaves a lot to be desired. The bottom line is, this isn’t a sports car. Sooner or later, as more and more manufacturers raise the bar for even their economy contenders, the Accord will have to follow suit as well. Until then, you’d still be hard-pressed to find a better value. 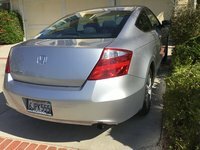 The 2009 Honda Accord is a carryover from a redesign in 2008 that left many people wondering, “Isn’t this supposed to be a Japanese car?” The Accord is now bigger, both inside and out, and a walk around the car will leave you finding European styling all around. Whereas Hyundai seems to have looked toward Jaguar for inspiration, Honda went to the mainland for the Accord, taking cues from Mercedes and BMW, depending on where you’re standing. Available with three engines across six trims, the Accord honestly does have something for everyone, even if it doesn’t do that “something” as well as everyone else. 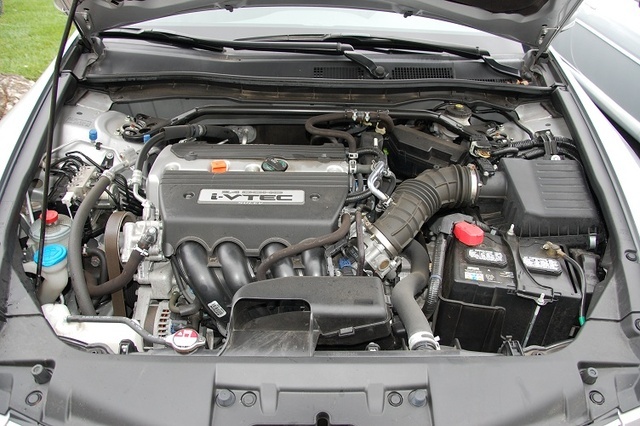 A 2.4-liter, 177-hp, DOHC inline four powers the LX and LX-P sedans and generates 161 lb-ft of torque. For the EX sedan, a 191-hp version of the same engine comes standard, and both engines are mated to a five-speed manual transmission, although a five-speed automatic is available. EX V6 trims feature a 3.5-liter V6 that produces 271 hp and utilizes Honda’s Variable Cylinder Management (VCM), which can deactivate up to three cylinders for efficiency. A five-speed automatic is standard and a six-speed manual is optional on EX-L trims, although you’ll lose VCM when choosing that option. Fuel economy is impressive even with the V6. Four-cylinder engines will get you 21/30 mpg with the automatic transmission and 22/31 with a manual. An automatic V6 will deliver 19/29, while a manual will drop to 17/25 due to the lack of VCM. It should be noted that all the manual-equipped Accords are decidedly faster than those equipped with automatics, with special praise coming for the manual transmissions, both in engagement and feel. Some criticism has been heard regarding the four-cylinder engines, which have been noted to idle roughly and produce a pronounced vibration that resonates through the body and steering column. While the 177-hp, 2.4 has more than enough power for casual driving, passing and hills leave it strained to say the least, with a significant flat spot around 35 mph. The 191-hp version is stronger in all situations, but pales in comparison to the V6. That said, competing manufacturers’ V6 engines outperform the Accord, in every aspect except fuel economy. The front-wheel drive Accords have always fallen on the sportier side of the midsize market, but since the redesign in 2008, things have been gravitating toward the cushier side of the pendulum. The Accord is quiet, refined, and well-mannered. In fact, one expects so much of the Accord, because of its usual muted composure, that when road conditions do produce the occasional harshness, it’s perhaps more jarring than normal. A slight understeer reminds you that it’s still a midsize economy car, except it’s not. Since the redesign, when the wheelbase of the Accord expanded by 2 inches, amongst other gains, the EPA has actually called the Accord a “large” car. Body roll has been noticed, although it doesn’t get in the way of a comfortable ride. The Camry seems to offer a more pleasing overall ride quality, and the Mazda6 does a much better job of meshing performance with comfort. Some have predicted that a new set of tires should improve ride quality dramatically, however. Poor layout and a frustratingly large amount of buttons congregated in the center console all take away from the overall grace of the Accord’s interior. While the major controls and gauges are convenient and visible, some are less intuitive. The navigation screen in particular is an oddity, recessed in its housing deeply enough to obscure anything but direct viewing, but still suffering from glare and washout on sunny days. Woodgrain accents available with certain interior color choices are a welcome addition, belying any worries of an overall cheapness. Since the 2008 redesign, interior space is ample, and the seats are both more comfortable and offer greater support. In fact, when it comes to actual space and comfort, everything about the cabin of the Accord is better since last year: It's easier to enter and exit, easier for taller occupants, and offers easier/better visibility. LX-P trim has a tremendous upgrade by way of the eight-way adjustable driver's seat, offering even greater accessibility for taller drivers. The Accord has always been safe, and this year is no different, with NHTSA ratings of five stars in all categories barring side impact for the rear passenger, which received three stars. Antilock brakes, stability and traction control, and front and full-length curtain airbags are all standard. 2008’s redesign stiffened the body and added a frame rail to support sides and floor. All of this adds up to a significant amount of standard safety for a car you can drive off the lot for around twenty grand. Cheap tires, a suspension that excels in neither comfort nor aggression, and weak engines have all tarnished what was once considered an immutable reputation. That said, it hasn’t tarnished it much. None of the negatives seem to outweigh what is still a very comfortable, affordable car to drive with an incredible reputation for reliability and impressive economy. What's your take on the 2009 Honda Accord? migration_sldl2004 You'll never get my wife to get rid of her '09 Accord. She loves the car and I must say that it's a blast to drive---it handles like a sports car and it has decent acceleration---especially for a 4 cylinder. Build quality is typical Honda and its reputation for reliability speaks for itself. We have the EX 4 dr sedan with the 190hp 4 cyl and it has surprising power for a 4 cylinder engine. The 5-speed manual shifts like a dream and it feels like you're driving a sports car rather than a sedan. 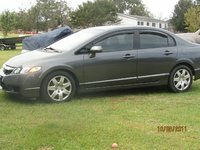 We'll be buying another Accord at some point--if and when I can ever get my wife to trade it!! Nice job, Honda. Users ranked 2009 Honda Accord against other cars which they drove/owned. Each ranking was based on 9 categories. Here is the summary of top rankings. 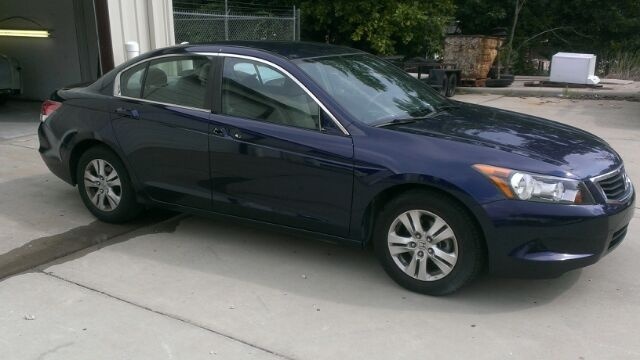 Have you driven a 2009 Honda Accord? My car has a vibrating bumping noise when I accelerate the gas. When I let off the gas, it doesn't do it. What could the problem be? when I apply the brakes my hazard lights flash while the pedal is depressed, in my 2009 honda accord. any idea what would cause this? Can Anyone Help With What Brand Rims These Are? I need a new center cap on one of the wheels and can’t figure out the brand. 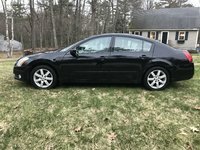 I have a 2009 Honda Accord that I am trying to put size 24 rims and tires on. What is the name of the kit I get for my transmission where it want mess it up. Just came out of an oil change yesterday. 120k miles. While idling, the car shuts off or shows signs to shut off when heater is on. Otherwise no issues. Can anyone help to diagnose?